COLORADO SPRINGS, Colo. — More than 150 people were arrested as part of a large-scale gang enforcement operation across Southern Colorado. Colorado law enforcement agencies partnered with the U.S. 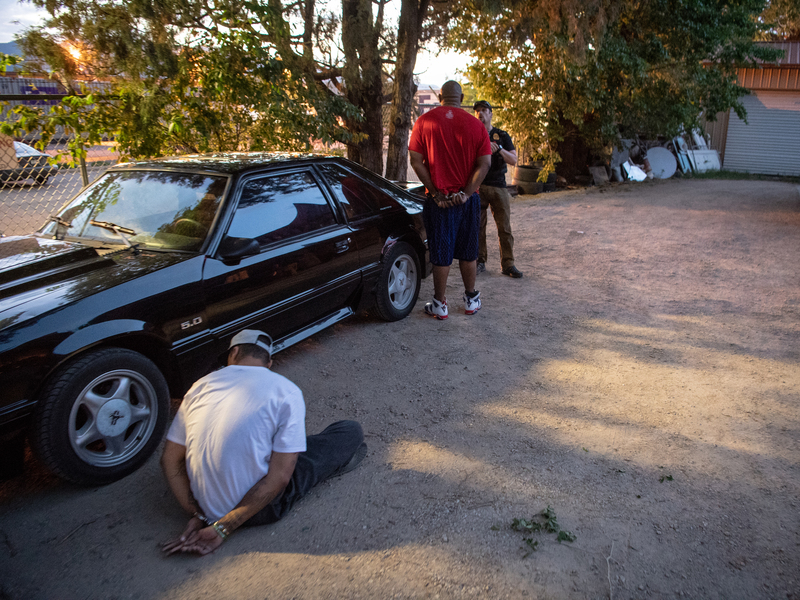 Marshals Service from May 15 through August 10 for the operation, dubbed Operation Triple Beam Colorado, which led to the arrest of 156 people. In addition to the arrests, U.S. 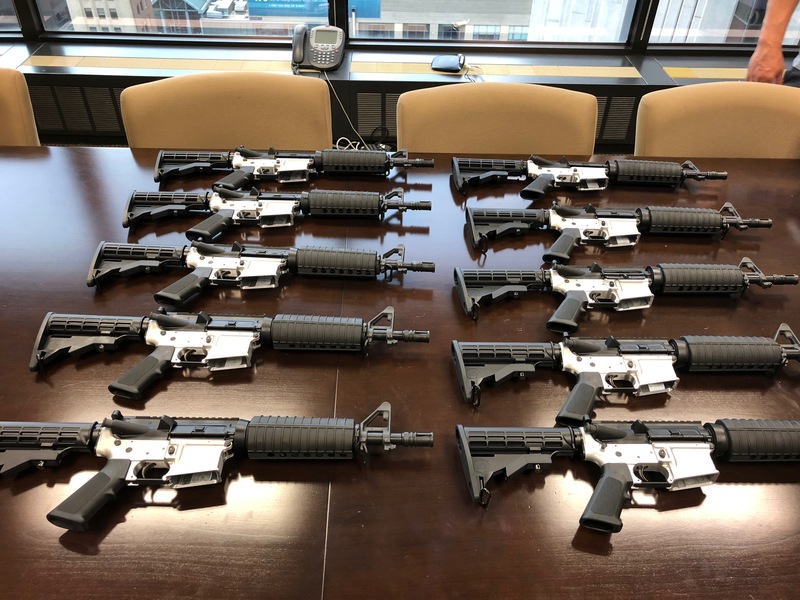 Marshals Service reported that the following items were seized or recovered: 26 firearms (10 of which were fully automatic rifles), 1.3 kilograms of methamphetamine, 739 grams of cocaine, six stolen vehicles and $89,087 in illicit funds. The U.S. 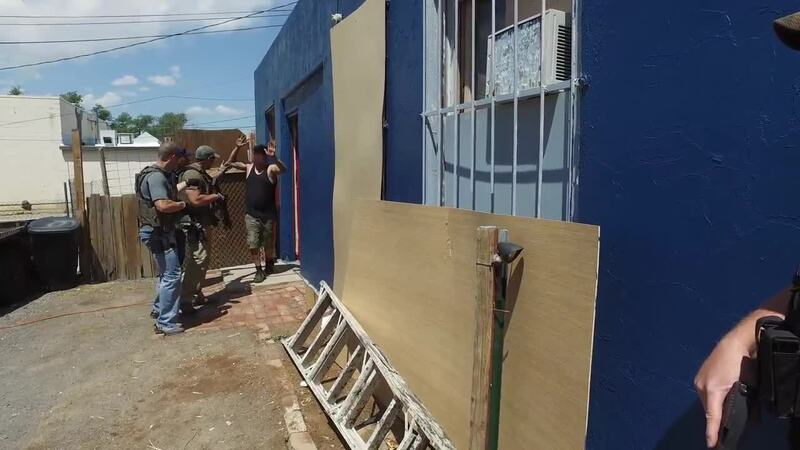 Marshals Service said this operation was created to provide communities with relief from gang-related violence by targeting both fugitive members of the gang and the organizations that are responsible for criminal acts. Operation Triple Beam has been conducted more than 50 times around the country since its inception in 2010. It’s resulted in more than 8,000 arrests and the seizure of more than 1,800 illegal firearms. Joshua Pacheco, an alleged East Side Dukes member, was arrested by the U.S. Marshals Colorado Violent Offender Task Force on May 17 in Pueblo County was wanted for distribution of controlled substances in Pueblo County. Pacheco was armed with a handgun at time of arrest. His arrest led to a search warrant and seizure of five firearms, 23.6 grams of methamphetamine, 30.7 grams of black tar heroin and the recovery of one stolen vehicle. He was subsequently charged federally for felon in possession of a firearm. Christopher Bynum was arrested by U.S. Marshals Colorado Violent Offender Task Force in Denver on June 1. He was wanted for capital murder out of Arkansas for a drug trafficking-related killing. Bynum was armed at time of arrest, which led to an additional search warrant resulting in the seizure of cocaine, heroin, marijuana and three firearms. Participating agencies included El Paso County Sheriff’s Office, Colorado Springs Police Department, Colorado Department of Corrections, Pueblo County Sheriff’s Office, Pueblo Police Department, Colorado Bureau of Investigation, Drug Enforcement Administration, the Department of Homeland Security and the United States Attorney’s Office.